I haven’t seen “Following” or, as I’ve said, “Interstellar,” so does that mean “Memento” is his most satisfying film for me, at least? Yes. But “Insomnia” at number 2? I did enjoy that film, but it seems more like a solid procedural, and not something groundbreaking like “Memento” or epic like the Batmans and Inception. At least it wasn’t as long and, really, despite the advances in movie theater comfort (larger, reclining seats), anything more than two hours long can be hard to sit through. Here’s the thing about Nolan’s longer movies: Eventually, I realized I was sitting in my seat. Eventually, they always fail to maintain a sense of my being transported and absorbed into the story. Of course, one of the most brilliant moments of film occurs in a Christopher Nolan film, when – magically, it seems – three action films are happening at the same time in “Inception” AND each has an impact on the other, as the van goes over a bridge, a building seems to lose sense of gravity, and a chase speeds over a snowy mountain fortress. 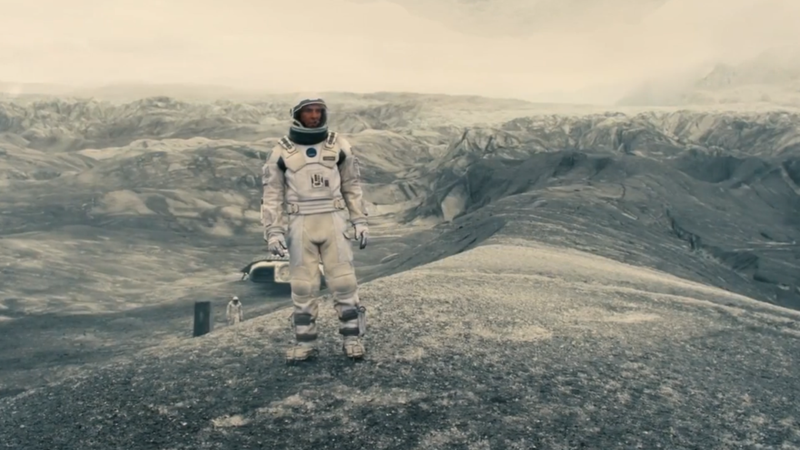 Will there be moments like that in “Interstellar”? Or will there be long overwrought and pretentious passages that aim for importance but fall flat? I expect both. But that won’t stop me from seeing it, from being part of this cultural moment. Why would I even bother prejudging a movie? I’m just being honest with myself. Another theory of mine is that most people begin to make judgments about art, movies, books, TV shows etc. long before they come into contact with the thing itself. For some, it is because they have a past with a director, actor, author or artist, and so they upcoming New Thing is fraught with Expectations. Added to the mix are the marketing efforts of galleries, museums, publishers, and publicists, who want to get Their Person Involved in the cultural thing out in front of the public and on the top of people’s minds through things like trailers and TV ads and print ads and appearances on TV, radio, magazines, newspapers, blogs etc. And all of that publicity and marketing can, in itself, create whole new levels of expectations. And it is in those expectations that the prejudging begins. In my previous life as an arts editor at a daily newspaper, I often enjoyed the privilege of getting books, movies, and TVs far in advance of the public release dates. Sometimes I’d bring screeners home for shows like “Game of Thrones” or “True Detective,” and my before sliding the DVDs in, she’d want to know (as any consumer would want to know): Are these any good? And I’d have to tell her that it would be up to us to find out, and that I would likely write about them. Now, though, the advance reading copies and screeners are a thing of the past, and so I find myself enjoying watching things in real time, and that also means being more in tune with how I prejudge the things I see. ← Election Day is today and I voted!